Sometimes when things seem overwhelming in the kitchen it is our fault. Sometimes we make things more difficult on ourselves simply because we don’t always take the time to evaluate what we use, how we use it in our kitchen and when we use things. 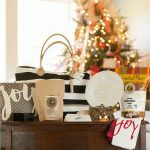 This post is where I delve into the thought process behind organizing our kitchens in a way that saves us time and effort. 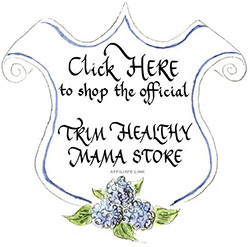 Over 3 years ago we began eating the Trim Healthy Mama way. At first there was a learning curve and some new ingredients that I wasn’t used to using or having on hand in my kitchen. 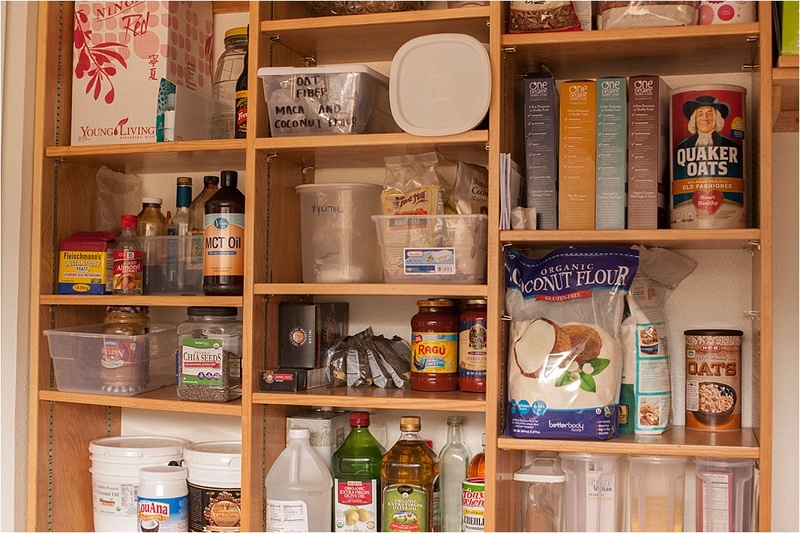 After giving the situation much thought, I decided I needed to re-vamp how I organized my kitchen so that it would be more function for the ways I was using it. My life has become so much easier for me than it was when I first began THM because of a few simple things. 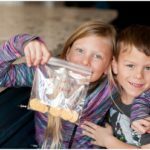 I thought I would share what has been most helpful to me in hopes that it can help other Trim Healthy Mamas have less stress in their kitchens. If you would like to read more about me and my three-year THM journey you can read all about it on My THM Story. First of all, understanding the THM concepts has been vital to making THM successful for my family (I’ll admit, I did have to read the first section of the THM book several times to fully grasp it). 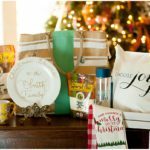 What seemed like a pretty confusing and daunting task of meal-planning is now a no-brainer and easy for me to do. I’ve even developed my own meal-planning sheet to help me stay on track. I added spaces for snacks and made sure to include an area beside each meal or snack to dileneate what type of meal or snack I was making. I then quickly color code it by highlighting so I can see at a glance what the variety of meals I am getting each day of the week. I then tally those at the top to make sure that I am getting enough “E” meals and variety. I also have a section on the sheet at the far right for writing in the sippers that I want to make that day. 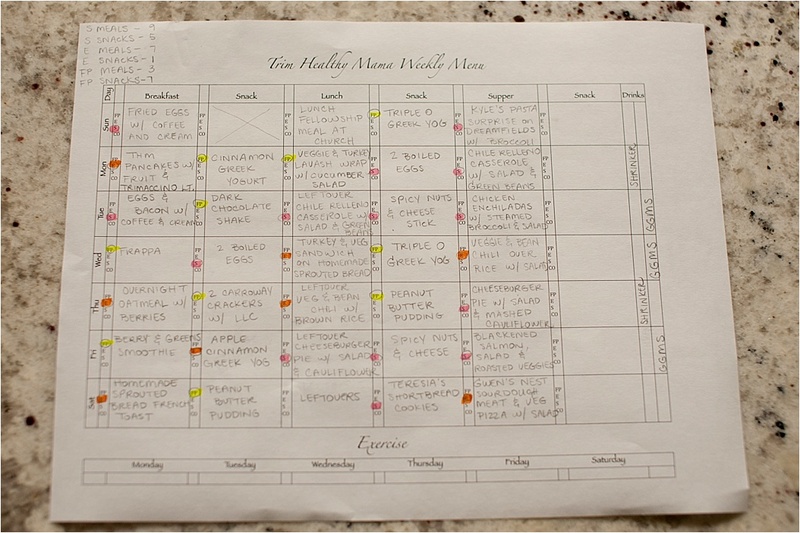 Although my meal planning sheet is just a guide (I write it in pencil so I can switch things around if needed), it has been very helpful to have a plan and make sure that I have all of the proper ingredients in the house and ready to go. 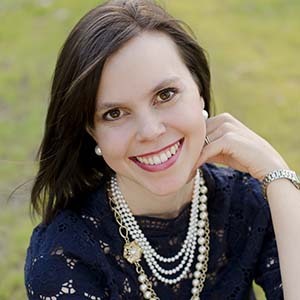 It is important for me to stream-line things and make them as easy as possible because my life as a busy homeschooling mom of 7 kiddos means I don’t have a whole lot of extra time to “run to the store” on a whim. 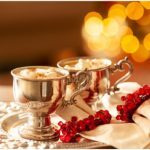 This meal plan has been working splendidly for me and hopefully it can give you some good ideas for your own meal plan as well. Here is a picture of my FREE meal planning sheet for you to see. If you would like to have your own copy of my meal planing sheet you can find it in the FREEBIES section here. Below I will explain exactly how this looks in my kitchen. The picture below shows the corner in my kitchen that I have converted to my THM smoothie, coffee and drink station. Everything is accessible right at my fingertips. 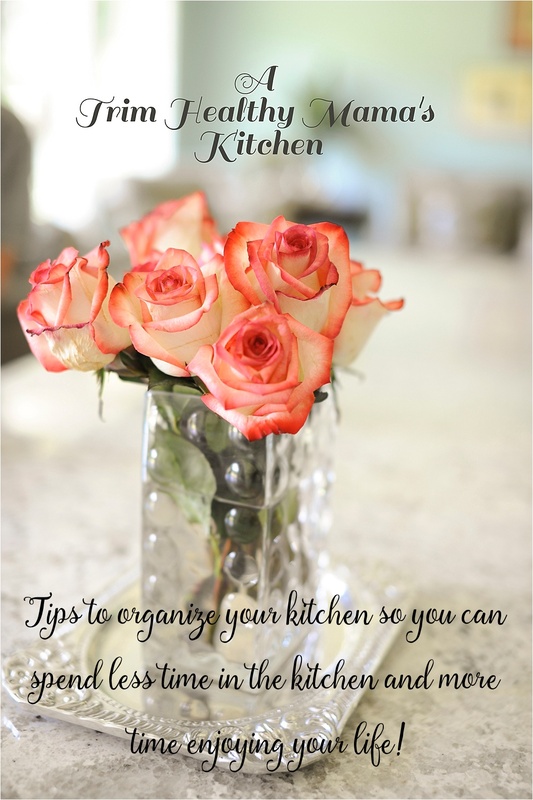 Read the info above each of the pictures below to find out the details of my tips and tricks for organizing a THM friendly kitchen. This is my appliance garage where I keep my blender plugged in and ready to use on the counter as well as my rice cooker (which also makes quinoa, by the way). My coffee grinder stays plugged in and ready on the top shelf. My Oolong tea bags (that I use to make “The Shrinker”) are stored in the smallest canister to the right of the coffee grinder (I use my Magic Bullet to grind coffee). I store organic coffee in the larger canisters on the right. Above my appliance garage I store my bread machines that I use to make my “THM Easy Sprouted Whole Grain Bread Machine Bread”. This is the drawer underneath my appliance garage where my blender sits. I store my organic Swiss Water Decaf coffee for me (I am nursing my baby, so I try to limit caffeine) here beside my favorite coffee maker called an Aeropress (you can find out more about it here: http://www.amazon.com/Aerobie-AeroPress-Coffee-Maker-Tote/dp/B0018RY8H0/ref=sr_1_3?ie=UTF8&qid=1421638665&sr=8-3&keywords=aero+press). The Aeropress makes the smoothest cup of coffee I’ve ever had and it is so portable and handy to use. Our new favorite organic coffee we order on line from: http://www.theroasterie.com. We like to order the organic Mexican Whole Bean regular and Mexican Whole Bean Swiss water press decaf. The coffee shown in the picture is not from The Roasterie, but it was also very tasty as well. This drawer is also home to the majority of our smoothie ingredients. I use canisters from my old brands of protein powder to hold the new THM Pristine Protein Powder. I like using the canisters instead of the bag that they come in, so I dump my THM protein powder into the canisters pictured on the right for easier access and less mess. 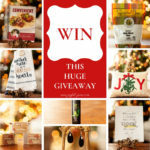 In the back left corner, you will find my THM Sweetblend, THM Pure Stevia Extract and the THM Erythritol. 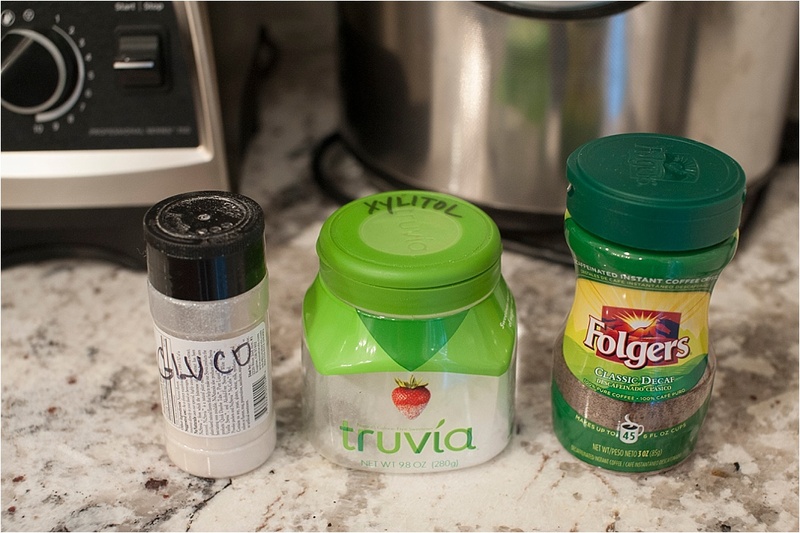 I use an old Truvia container (I like the THM Sweetblend so much that I never use Truvia any more) to store my Xylitol. I pretty much only use Xylitol to sweeten our coffee and for the occasional berry syrup to go on top of the THM pancakes. Be aware that if you have pets in the house you need to be careful because Xylitol can be fatal to pets. We don’t have inside pets, so it is not an issue for us. 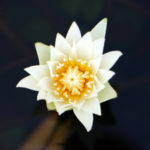 I keep a bag of the super food supplements that Pearl and Serene recommend called Maca Powder (helpful to balance hormones and increase libido) and green Matcha Powder (provides a super dose of the good stuff in green tea) to add to smoothies if I am wanting to up their “super food” power. Totally optional, but I like to use them occasionally. I keep several kinds of cocoa powders, instant espresso and instant decaf coffee powders to add to chocolate smoothies (the coffee powders make chocolate smoothies taste more “chocolatey”). Also, I have a box of flexible disposable straws as well as some re-usable larger straws. I purchased the tall-sided white plastic containers at Target. I use them to group things by kind. 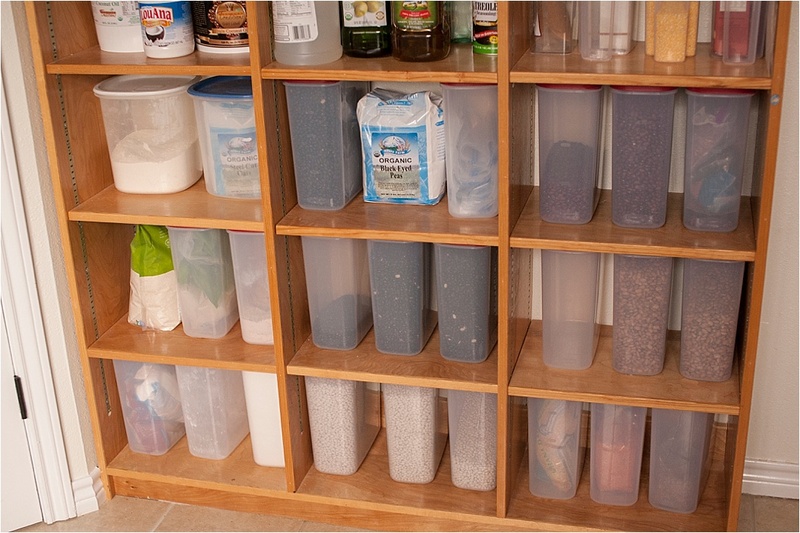 These particular containers have detachable plastic labels on them, which would be so handy if you needed to store them in an upper cabinet so that you could quickly see which container to grab. 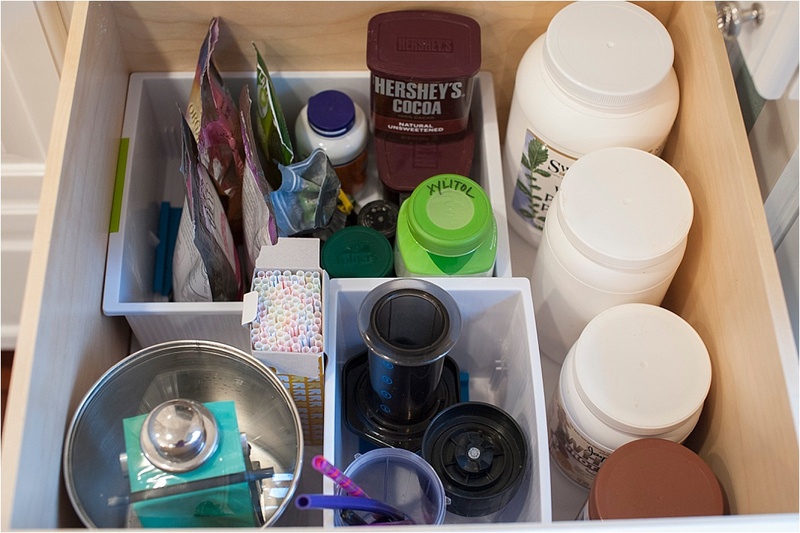 If I did not have drawers, but instead had cabinets underneath my counter top, I would suggest getting a shallow larger plastic bin that the smaller containers could be stored in. That larger bin could be quickly slid out of the cabinet to see and grab what was needed easily. 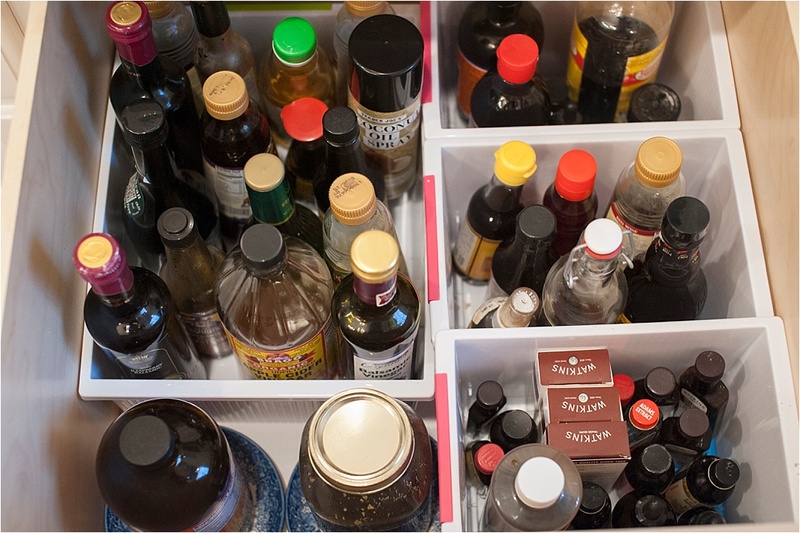 Here’s an up-close view of re-purposing old containers. I use an old stevia bottle for my Glucomannan so that it will sprinkle easily. I like to use my old Truvia container for storing my Xylitol. The granulated instant coffee make it easy to add coffee flavors to smoothies and such. This is the adjacent drawer that holds our Bragg’s Apple Cider Vinegar (ACV) for the GGMS, our MCT oil (MCT stands for Medium-Chain Triglycerides and has many similar benefits of coconut oil) to add to smoothies and Trimaccino Light, a plethora of extracts for THM recipes, Trader Joe’s coconut oil spray (I mostly use this when making the THM pancakes), liquid stevia varieties, Bragg’s Aminos, and a selection of various oils and vinegars to make speedy on-plan salad dressings. I do keep a jar of local raw honey in this drawer for when I am making things for my growing children. Here is an up-close view of how I make coffee in my Aeropress from the coffee beans I grind in my Magic Bullet. The Magic Bullet is such a multi-purpose tool and is great for grinding flax seeds, Xylitol, and Sweetblend or Truvia. Note, the coffee show in the picture was not The Roasterie coffee, but another brand of organic coffee that I was using at the time. 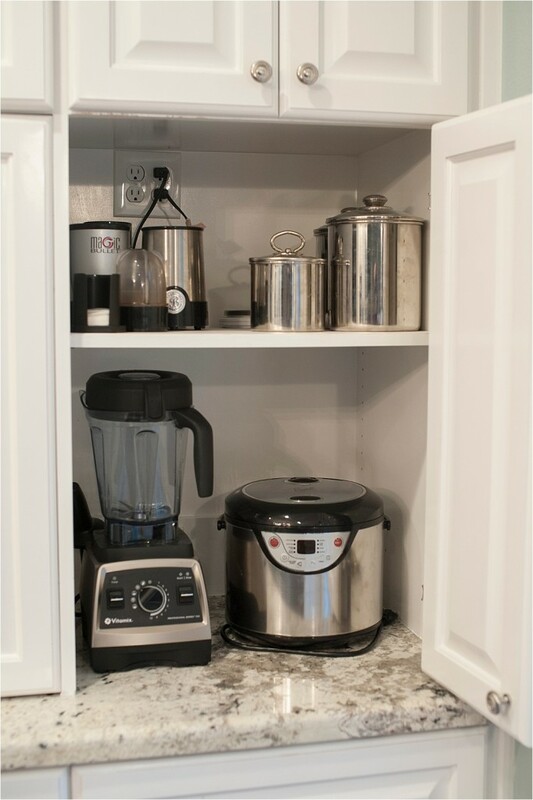 This view shows how I keep my smoothie and coffee cups right next to my “smoothie/drink station” for easy access. 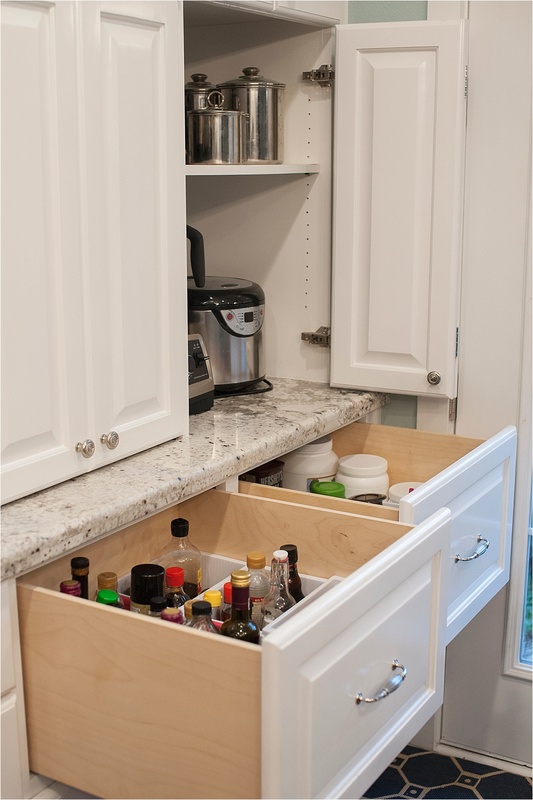 Also, keeping them down low instead of in a cabinet above the countertop allows for my kids to have access to them when they need a drink or when they are putting the dishes away when they unload the dishwasher. I keep all of my measuring spoons and measuring cups in a drawer beside where I make my smoothies and drinks for quick measuring. I bought this handy plastic drawer organizer recently at the Container Store. 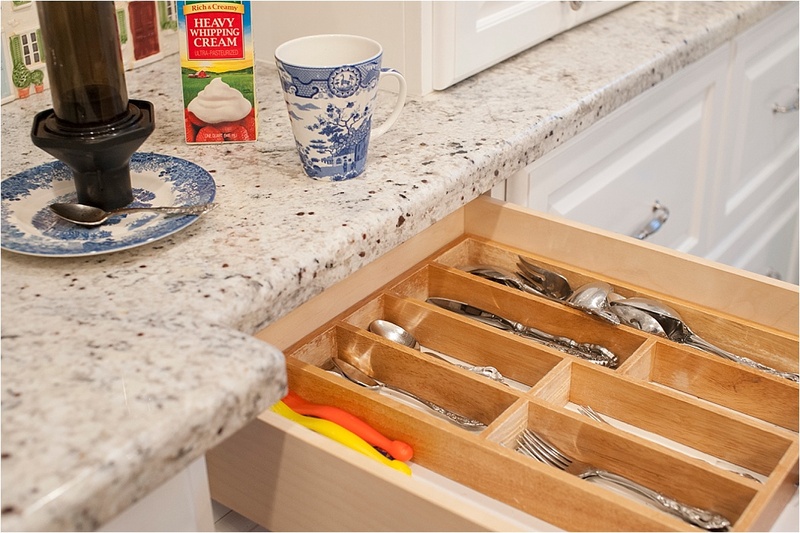 Lastly, I keep my silverware handy in the top drawer below where I make my coffee and stir my drinks. 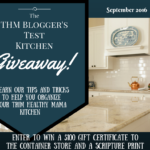 I hope that this little tour through my THM “stations” in my kitchen has given you some helpful ideas to spur on your creativity and organizational skills in your own THM kitchen! 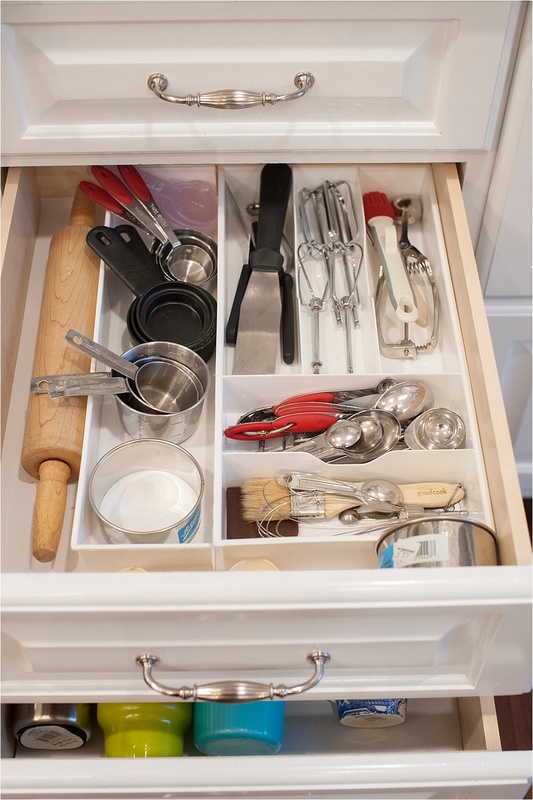 If you don’t have similar drawers or cabinets, you can still group things in your kitchen near each other for convenience. For instance, my friend stores her Vitamix blender under her kitchen sink for easy accessibility and she can also quickly put it away once it is washed. 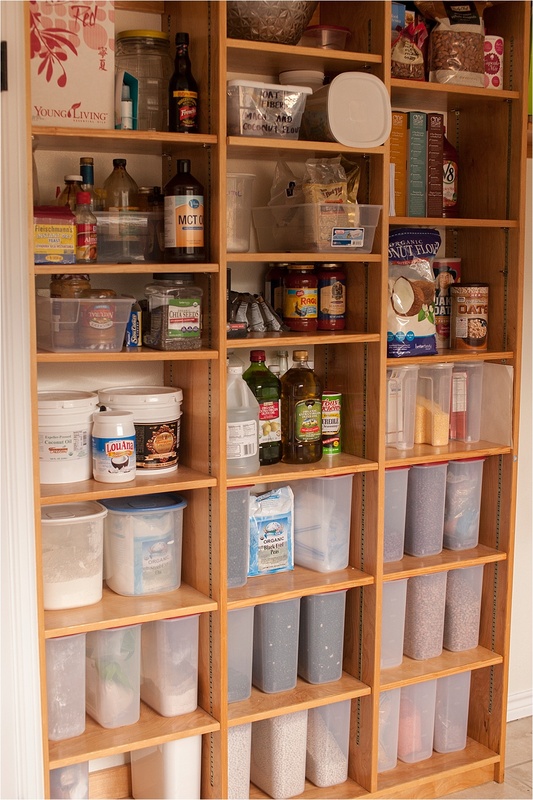 For those that have cabinets instead of drawers in their kitchen, you can buy plastic tubs/containers similar to what I have in my drawers, fill them with the groups of THM items you choose then easily slide them in and out of your cabinets when you need them. If you have an open corner in your kitchen and you don’t mind seeing things out on your counter, you could get a Lazy Susan to store your most-frequently used items. Baskets with labels are always a great option for counter top storage as well. I also like to hide my Joseph’s pitas, Lavash wraps and Mission low-carb tortillas in a wooden vintage bread box that I keep in a corner on my counter. I really like these large 21 Cup Rubbermaid containers that I found on Amazon. 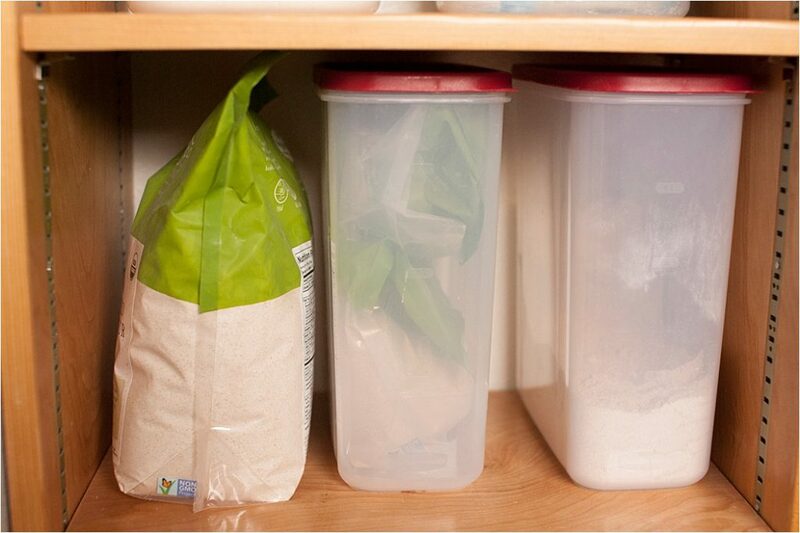 They hold 21 cups and they seal nicely and really help keep pantry pests out of the food. Their shape is great because they don’t take up as much room as round containers. You can order a four pack here and they are slightly discounted. As a side note, we eat A LOT of beans (usually with rice or quinoa) in our house to help stretch the budget and to limit the amount of meat we are eating a little bit. So, I buy a plethora of organic varieties in bulk to feed my family. 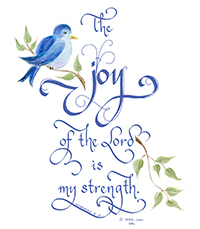 I try to make at least one vegetarian meal a week and it is usually on a busy day like Wednesday when we will be heading to church. Because we eat so many legumes weekly, I try and be as creative as I can in ways to prepare the legumes as well as the types of legumes I cook. Some of the varieties that I keep on hand are pinto, red, kidney, black, brown lentil, red lentil, chana dahl, cannellini, navy, black eyed peas, etc…I buy them from the Azure Standard co-op so that I can buy the organic ones. Thank you for the helpful ideas! 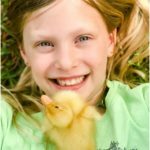 Wanted to let you know that a couple of the links on this page are broken. Thank you for letting me know! Would you mind telling me which links aren’t working properly?